My Story Diary for BETWEEN THE STARS AND SKY here! 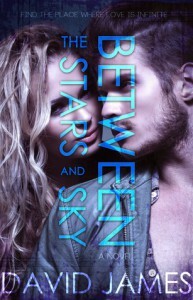 I don’t even know how to write a review for Between the Stars and Sky, let alone explain what it’s about. It’s minimal but beyond complex in context. The story-telling is unique and this book means so much to me, even if it broke me to pieces. I highlighted the hell out of this book…even a sentence in the acknowledgements and note from the author. Is that weird? I bought another copy so I can have a clean copy too. It’s definitely one of my favorites of the year. I’m taking it to the grave with me (morbid, I know. No surprise there.). Between the Stars and Sky starts off with Jackson’s introspection and self-reflection on life, family, loss, insecurities, love, heartbreak, memories, lies, fear, and the future. There’s a lot of thought that goes into all of those throughout the book, with new things added or changed to his perspectives on those topics. At the start, we also get a glimpse of Jackson’s relationship with his father, and memories of how it was with his mom. And Jackson returns to his hometown of Huntington after moving away a few years ago. He reconnects with a couple of old friends he left behind. Attempting to adjust back to the town he once called home, reuniting with old friends and rekindling an old flame, deciding whether to follow his dad instructions for what to do with his summer there, and trying to find himself and figure out life in general, thinking about his mom and the upcoming firelight festival. Jackson is a dreamer, an artist who uses words, metaphors and symbolism as his paintbrush to express his insights and feelings. I don’t know whether I want to climb inside Jackson or David’s mind and live there forever. It made my mind explode with color. David James articulated metaphors and vivid imagery to convey emotions and to tell this story. David threw caution to the wind in the best way possible and defied the odds by not being afraid to show Jackson’s sensitivity and vulnerability. It’s often easy to forget that guys can feel so fiercely. Jackson’s dad tells him that he lives in his head just like his mom did and that is true in every sense. As the story progresses, Jackson’s journey of self-discovery goes into war with what is expected of him and where his heart truly lays. Jackson colors outside the lines of life and love. He’s unwilling to be confined by the worlds expectations. The Firelight Festival is a mystery with history and meaning behind it for which I will not elaborate on; you’ll just have to find out for yourselves, and don’t worry, it’ll be worth it. Basically what it is, is like an inside thing that only people in the circle knows. To take a quote from the book, “The Firelight Fall is something no one ever talks about but everyone knows.” So the whole town is in on it, whether they participate or not, and us readers are the outsiders who don’t really know what goes on until we learn about the story behind it all. There’s another side of the significance to the Firelight Fall that no one tells until it is revealed in a journal from one who knows it inside and out, from one who lived it. It takes a while until we get the full extent of what exactly the Firelight Festival is. About halfway in, I was chanting please don’t let this be foreshadow what I think it will as if it were a spell or a prayer or something. And then the Firelight Festival came around, I got anxious and it turned out for a very good reason. You know where you have that gut feeling that something very wrong is about to happen? Well…trust your gut is all I have to say and be prepared for feels. What a way to tear my heart out. Buuuuut, David doesn’t leave us that way, he finds a way to mend hearts back together. And boy did Jackson need that in the end. Jackson and Sarah may be OTP, but Miles and Sean are ENDGAME, THAT IS ALL. Oh, and Jackson and Miles are brotp, of course. Between the Stars and Sky is vivid, evocative, profound, lyrical, metaphysical, timeless, imaginative, atmospheric and painfully beautiful. . .a story of self-discovery, love, loss, hardships, the finer points that are often overlooked and everything in between and out of this world. Makes you pay attention to the finer details, the little things we overlook. There’s a lot of life-lessons between the pages, each line. It is beautiful and sad and everything in between. It made me break out in smiles and tears all at once. I thought I was going to explode into a supernova or something. Between the Stars and Sky tells of not one, but of a thousand stories.